Prominent downtown building with street frontage for retail or office use. Formerly the Pacific Health and Life Building, now remodeled with mixed use residential above the main floor of commercial space. 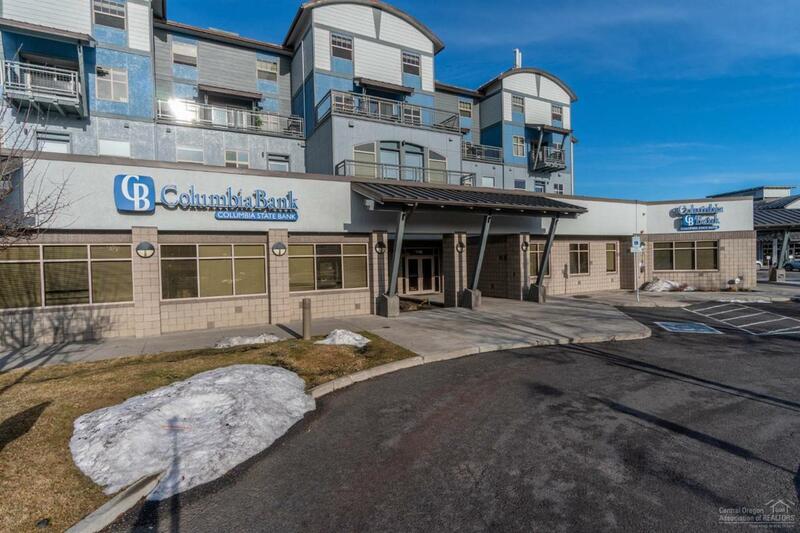 Two spaces available at 3823 and 4436 rentable square feet separated by the main lobby. Drive -Thru window connected to the northeast space and exterior corner entrance connected to the southeast space. Exterior building signage available. Dedicated on site parking during business hours. Property shared with RBC Wealth Management, Super Burrito, Bad Wolf Bakery, Premier Property Group, and others. Excellent visibility where Wall St., Greenwood and Newport intersect. Listing courtesy of The Pennbrook Company. Listing provided courtesy of The Pennbrook Company. © 2019 MLS of Central Oregon (MLSCO) . All information is deemed reliable but is not guaranteed and should be independently verified. The content relating to real estate for sale on this website comes in part from the MLS of Central Oregon. Real estate listings held by Brokerages other than Ladd Group, Cascade Sotheby's International Realty are marked with the Reciprocity/IDX logo, and detailed information about these properties includes the name of the listing Brokerage. All content displayed on this website is restricted to personal, non-commercial use, and only for ascertaining information regarding real property for sale. The consumer will not copy, retransmit nor redistribute any of the content from the website. The consumer is reminded that all listing content provided by automatic transmission by MLSCO. This content last updated on 2019-04-25T21:43:41.997. Some properties which appear for sale on this website may subsequently have sold or may no longer be available. New Construction No Number Parking Spaces 5 Office Office Building Owner Pays Other Parking Parking Lot-AsphaltParking Lot-Concrete Property Subtype1 Office Retail Retail-Comm'l -Other Sewer Septic City Sewer Tenant Pays Common AreaJanitorElectricLiablity InsuranceExterior MaintenanceOtherGasStructure RepairInsuranceTaxesInterior MaintenanceWater/Sewer Traffic Count Number Day 0 Unit Number1 Rent 0.00 Unit Number1 Sq Ft 3823 Unit Number2 Rent 0.00 Unit Number2 Sq Ft 4436 Unit Number3 Rent 0.00 Unit Number3 Sq Ft 0 Unit Number4 Rent 0.00 Unit Number4 Sq Ft 0 Unit Number5 Rent 0.00 Unit Number5 Sq Ft 0 Unit Number6 Rent 0.00 Unit Number6 Sq Ft 0 Unit Number7 Rent 0.00 Unit Number7 Sq Ft 0 Usable Square Ft 3324.00 Year Renovated 0 Zoning Comm.